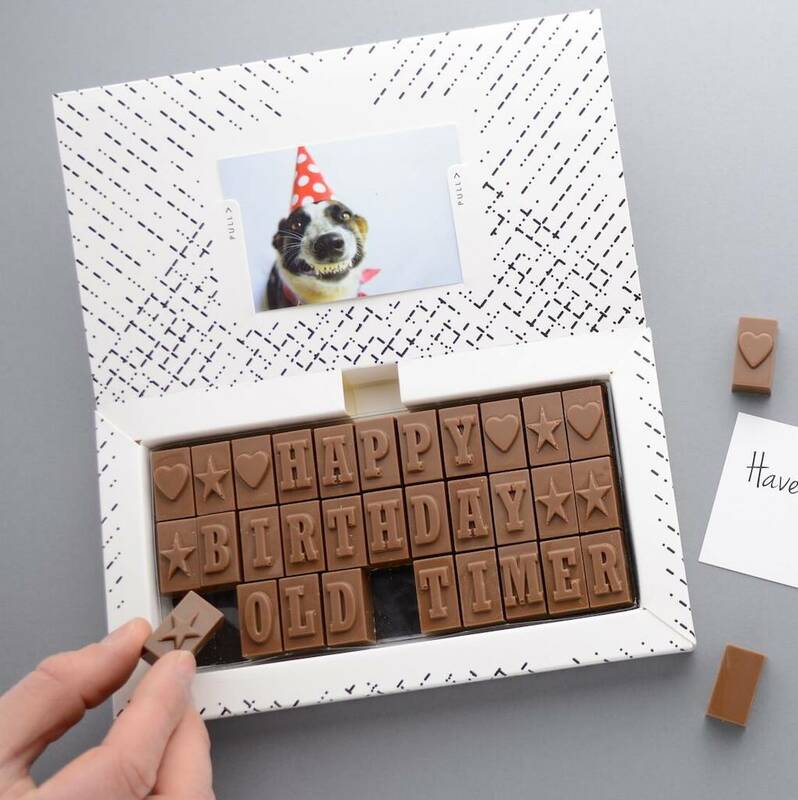 Why send a card, when you can send a chocolate card. 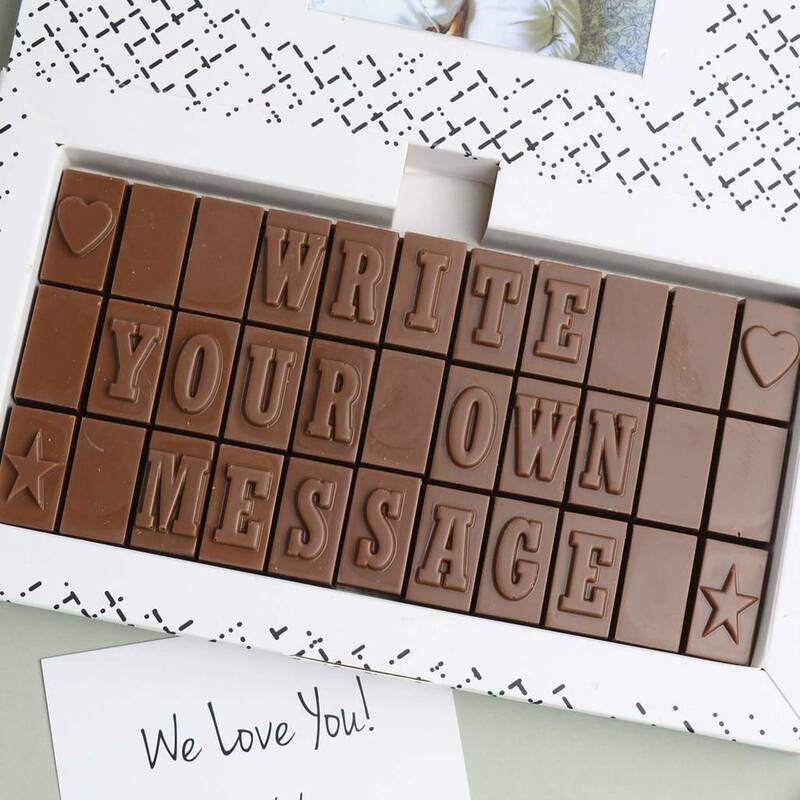 Send a personalised chocolate message and put a big grin on their face. 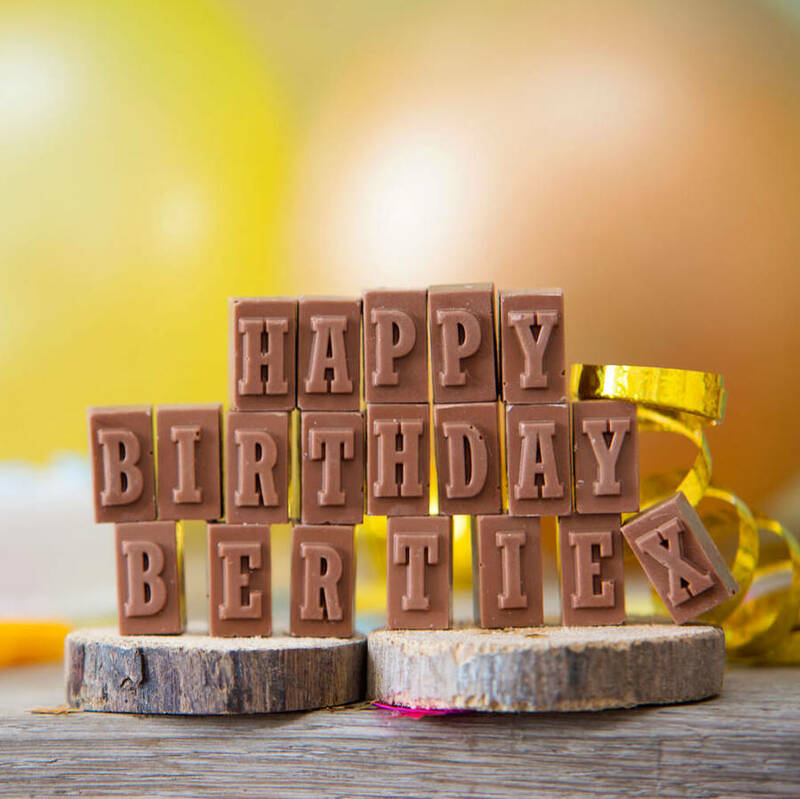 Whether it's a birthday, a thank you, or you just want to make someone laugh, write a deliciously chocolatey message and we'll pop it in the post for you. Morse Toad suggests decorating the top of a cake, or perhaps some muffins. 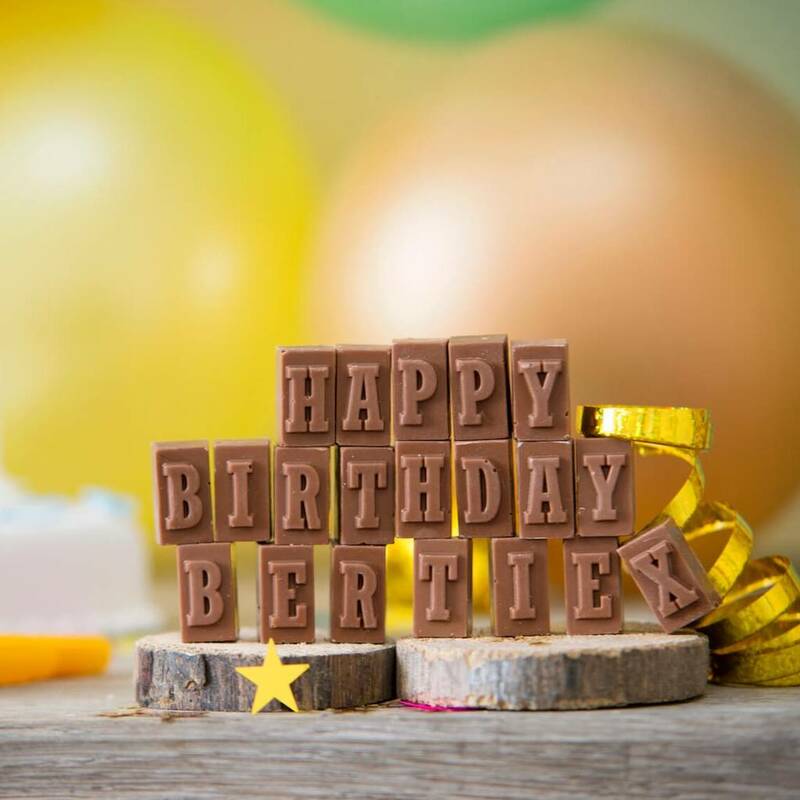 You can even include your own photo to make the gift extra special. Our boxes are letterbox friendly. - From here you can type a message to the seller and attach an attachment by clicking the 'Choose File' button at the bottom of the page. NB. YOUR IMAGE WILL BE CROPPED to 85mm x 55mm landscape. We will crop it ourselves, and we will aim for the best fit to get the characters in. Edges may be cropped away. For best results, please crop to this dimension in advance before uploading it to your order. 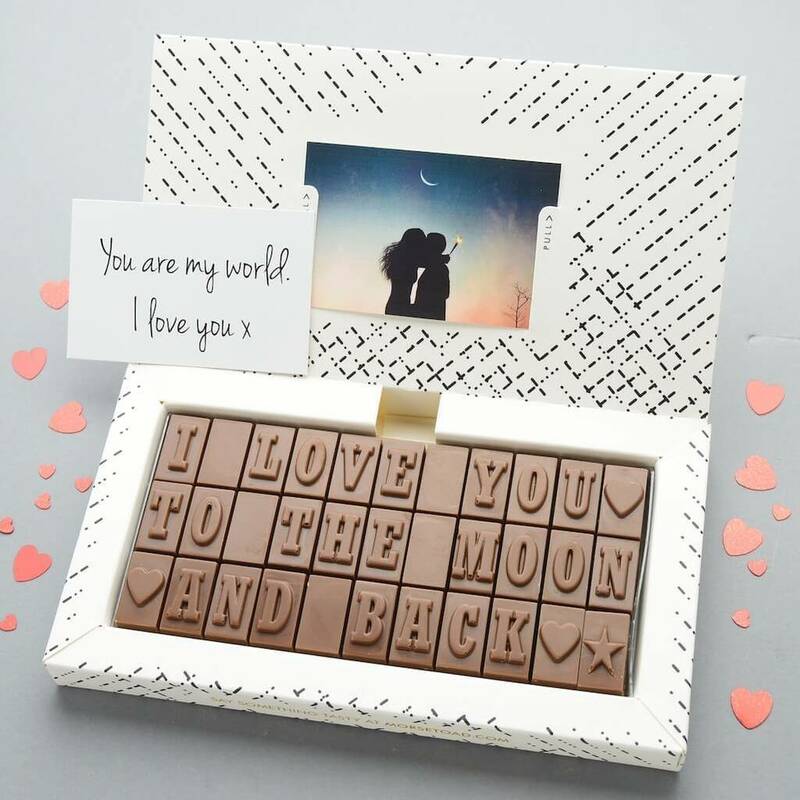 Our chocolate is super yummy, so don't expect any sharing. 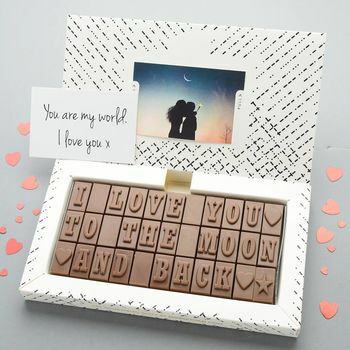 Lovingly handmade in Hampshire UK. 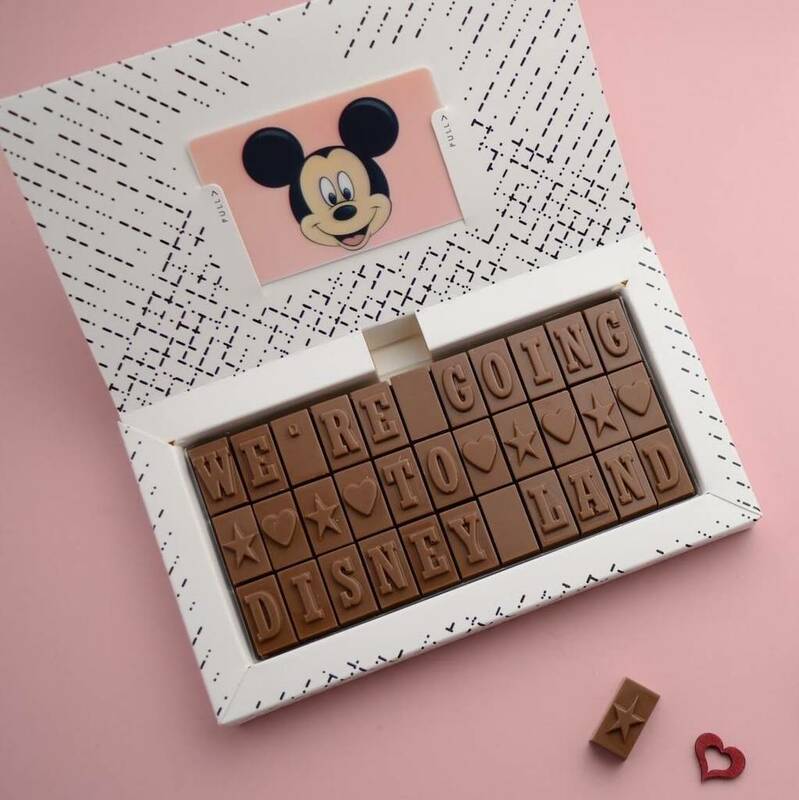 Boxes include 33 bitesize pieces of chocolate. Perfect to share. Cocoa mass, sugar, cocoa butter, whole milk powder, emulsifier: soya lecithin, natural vanilla flavouring. Milk chocolate contains cocoa solids 33.5% minimum. Allergy advice: contains milk and soya. Our chocolate will keep for one year. H1.8cm x W17-25cm x D3.3-8.4cm, approx. 75g - 205g (smallest to largest). This product is dispatched to you by Morse Toad.